By now, the turkey has been gobbled and the stuffing has stuffed our bellies. Different people like different foods on Thanksgiving, though. For some, sweet potatoes are the ones to beat. For others, cranberry sauce from the can is the item for which they ran. In my case, I always love stuffing has been a favorite of mine for years. Sweet potatoes casserole with melted marshmallows, however, are a close second. They remind me of growing up and fighting with my mother annually about taking a piece solely to eat the marshmallow topping. After years of insisting that I hated sweet potatoes, I tried them and found that I loved them! Oh, and don’t worry. 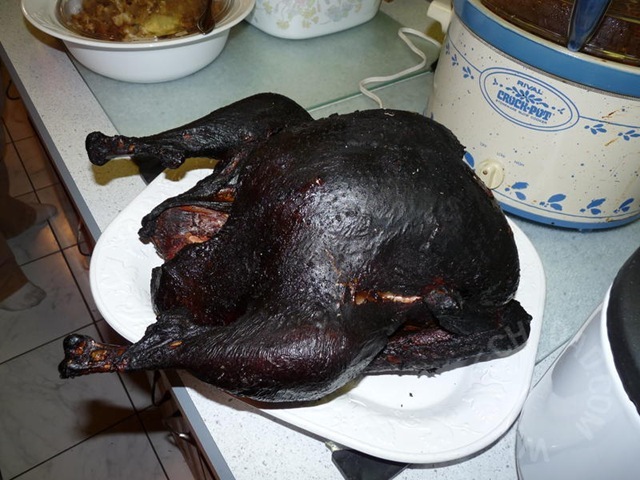 The turkey in the photo wasn’t burnt, but smoked. It was perfect inside and quite tasty. 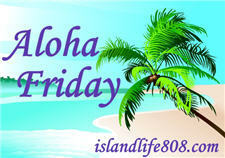 My Aloha Friday question for today is: What is your favorite Thanksgiving food that you ate tonight? Which food inspires the most Thanksgiving memories? I loved the new stuffing I made, it was killer! Well, this year I made a Brine turkey at was really good. Pumpkin pie is my favorite on this day. 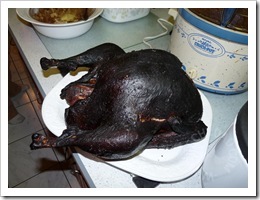 I totally nailed my Turkey! YEAH! Pumpkin pie all the way! We don’t celebrate Thanksgiving here in Spain.